Immigrants and refugees in Illinois can now breathe a sigh of relief, and people eager to vote will find it easier to register. The changes come as Gov. 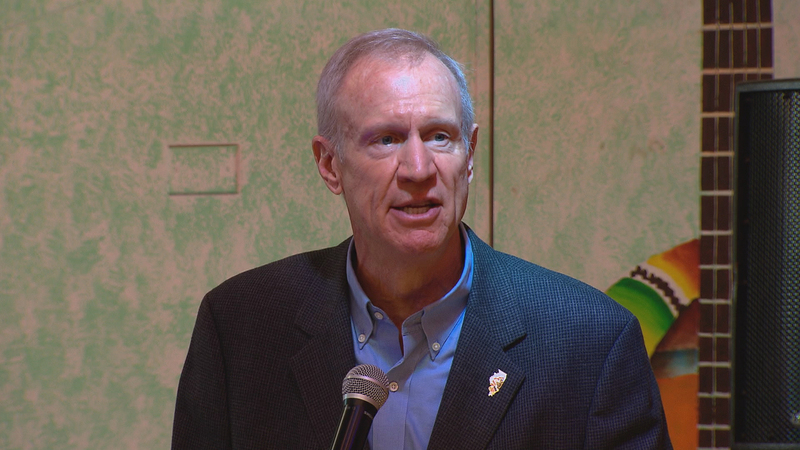 Bruce Rauner signed two pieces of legislation Monday. One of them makes Illinois the 10th state to enact an automatic voter registration law. It’s designed to get more people registered by allowing the application for a driver’s license or state ID to serve as an application to register to vote. Under the Illinois Trust Act, law enforcement cannot stop, arrest, search or detain a person based only on their immigration status. Instead, officers must have a warrant issued by a judge to detain someone. Supporters say the Trust Act will make immigrant and refugee residents much more likely to dial 911 when necessary, without fear of deportation. Supporters, like the American Civil Liberties Union of Illinois, say the Trust Act will allow law enforcement to better engage with their communities, while the voter registration policy should boost registration rates and improve voter roll accuracy. With just a week to go until the first day of school, Chicago Public Schools has a new budget for the school year. Members voted Monday to approve the district’s $5.7 billion operating budget, with leaders noting that its deficit had been cut in half from the $1 billion budget gap two years ago. A federal jury has convicted a Chicago police officer who was accused of firing shots into a car full of teenagers, injuring two, back in 2013. Marco Proano, 42, faced two counts of civil rights violations, with a maximum of five years in prison for each count. Prosecutors say he fired into the car as it backed up, after being stopped for speeding. Proano’s defense attorneys argued the shooting was justified because the car was stolen and another officer saw a gun.